If you've experience bullying, you'll know firsthand just how hurtful, painful and humiliating it can be. 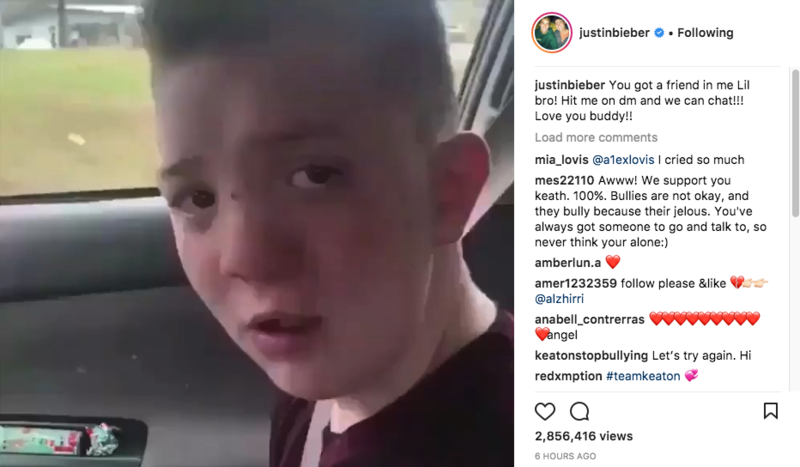 So young Keaton Jones' hugely brave anti-bullying video went viral, a number of celebrities came out in support of his message. "Keaton asked to do this AFTER he had me pick him up AGAIN because he was afraid to go to lunch. My kids are by no stretch perfect, and at home, he's as all boy as they come, but by all accounts he's good at school. Talk to your kids. I've even had friends of mine tell me their kids were only nice to him to get him to mess with people. We all know how it feels to want to belong, but only a select few know how it really feels not to belong anywhere." The video, with which so many of us can empathise, soon went viral, with a number of celebrities, including Justin Bieber and Snoop Dogg, rallying behind Keaton to show their support.